The lifeblood of any logistics operation is the ability to operate at peak efficiency for as long as possible. Even slight hiccups in everyday processes can prove more costly than one might imagine at first blush, so finding ways to maintain smooth operations on an ongoing basis is critical for any warehousing business. Everyone benefits when companies are able to implement systems in which everyone understands where things should go, and clear processes are laid out for every role, according to CamCode. Simply put, if items are just dropped on whatever open shelving space is available and there's no rhyme or reason behind how everyone is doing their job, it stands to reason that things won't go as smoothly as possible because things get lost and one proverbial hand doesn't know what the other is doing. Along similar lines, if warehouse employees are required to write down their activities or note where they've stored items on pieces of paper, they might forget to do so, make a mistake or not turn in all the requisite forms in a timely fashion, CamCode added. The same is true for supervisors who have to manually enter data into a centralized system. When companies make investments in automated systems, everyone is likely to benefit. In many cases, companies' operations evolve over time and workers find ways around problems that have long gone unaddressed, according to Taylored Services. Unfortunately, even if these fixes are intended to be temporary, they often end up becoming permanent. For that reason, leaders should continually examine how all processes are completed and see if they can use technology or other solutions to simplify things once again. 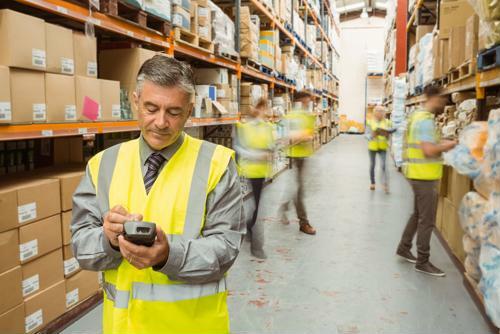 While anyone who works in a warehouse for long enough is likely to become an expert in their specific roles, training for other skills and reviews of best practices can often go a long way as well. Scheduling regular training sessions for both workers on the shop floor and managers will help everyone get the most out of their hours on the job and improve efficiency on an ongoing basis. In much the same way companies have an obligation to keep workers skills' sharp, the same is true of maintaining a space in which they can work as effectively as you can, according to SKU Vault. When equipment, shelving, electrical devices and so on start to exhibit some wear and tear, replacing them as soon as possible is critical to ensuring nothing goes wrong. Finally, when companies want to ensure peak efficiency, making sure employees are satisfied with their jobs and are in good physical health are critical components. As such, high pay and great benefits should be seen as a key part of any company's strategy for ensuring not only worker retention, but ongoing efficiency.